Research suggests that marketers in India already see mobile as a key part of their efforts—even if spending is still relatively low. According to eMart Solutions, 71% of digital marketers in India—including channel partners and brand managers—believe that mobile marketing is core to their business. And nearly as many (68%) said they have integrated mobile into their overall marketing strategy. 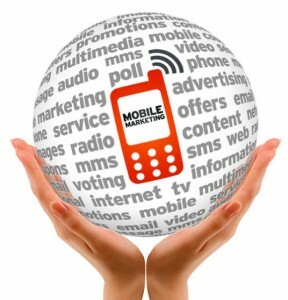 eMarketer estimates that mobile is a small but growing component of digital advertising in India. Our last forecast for total media, digital and mobile internet ad spending around the world pegged mobile spending in India at $173.2 million in 2015, set to double to $346.5 million by the end of this year. That will amount to 29.5% of digital ad spending, or 4.9% of total media budgets. By 2019, advertisers in India will be spending much more on mobile placements—$1.32 billion. That will account for a majority of all digital ad spending (60.9%), and 15.5% of total media advertising in India. Earlier research has found that mobile marketers in India are focused on display and social ads, though their attention is expected to shift in the coming years.